Sure, Alt Summit is about learning, but it's also about interacting and making new friends. One of the bests parts of Alt is meeting other like minded people that share the love of creating. And there are many ways to do just that, including attending a Tuesday Night Dinner, the evening parties or simply hanging out in one of the sponsored lounges. A few weeks before the conference begins, you get invited to choose one of the "Tuesday Night Dinners" you would like to attend. Each dinner has a sponsor and takes place at a SLC area restaurant. I chose a dinner hosted by Gumroad and it was held at The Oasis Cafe. Gumroad is a company that helps you sell products directly to your customers. Whether it's a tutorial, music, book, whatever, they can help. The dinner was fun, delicious and very casual. Not a sales pitch at all, but yet Emmiliese, from Gumroad was there to answer any questions you had about their product. This blog has been something I have been thinking about for quite a few years now. But I'm the type that if I can't do something perfect now, I will put it off until I can. I guess it's a form of procrastination, but I prefer to think of it more as being a "perfectionist"... and that's a good thing, right? At any rate, I had been putting off starting my blog for years, because I didn't have the time to do it the way I wanted. After all, you can't profess to be somewhat of an "expert" in design, yet have a blog that looks less then "design-y". But I set a goal for myself, a bit of a New Year's resolution, that 2015 was going to be the year I just did it... took the leap, regardless of if it was going to be perfect right out of the gate or not. So thanks to a a business name I've had since becoming a freelance designer seven years ago, a $10 blog template I bought from a Graphic Designer on Etsy and blogger.com, here we are today. This blog is still a work in progress and I'm working on finding my focus, look, stride, voice and consistency, but I'm doing it and excited about where I can take it. Which brings me to Alt Summit. I had heard about Alt Summit for many years and I hoped there would come a time when I could attend. 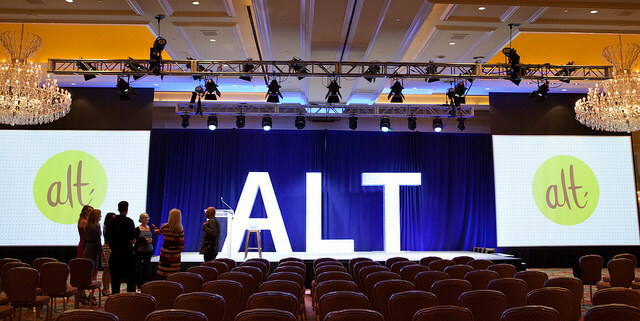 For those of you that are not familiar with it, Altitude Summit (or Alt Summit) is a conference for creative bloggers and entrepreneurs that is held in Salt Lake City twice a year (in January and in the Summer). It is a place where, mainly women, though there were some men there as well, can come together, share information, collaborate and inspire one another. It's three days of ideas, parties and fun and I'm so glad I was able to be a part of it this summer! There was so much information and so many things to share, I've broken it down into five posts that I will share for the next five days (working on that consistency thing). Today I'm going to focus on what I did to get ready for Alt and the opening keynote address. The story goes that my Mom got this recipe from a friend "back in Michigan" (where my parents lived shortly after getting married and where I was born). They quickly became a family favorite. So much so, that there were many a Christmas mornings when my Dad opened a box to find an entire batch of Oatmeal Cookies made entirely for him. To this day, I think that is one of the best presents I can give him. A few years back, there was this recipe going around that was referred to as "Engagement Chicken". Anyone else remember that? I guess the story went that if you wanted to get married to your boyfriend, you would simply have to make this chicken dish and he would love it so much that you would soon get engaged. Well then I guess you could call these "Engagement Oatmeal Cookies", because I truly think that tasting these cookies and the promise of more in the future, may have been what swayed my husband to want to marry me. He loved them so much that he was even a bit upset when he heard I had shared the recipe with a friend... and then was pleased when he later heard her say that they "didn't come out as good" as the ones I had made. So don't tell my husband I'm sharing this recipe, again. And I'm sure when you make them, they will be excellent! 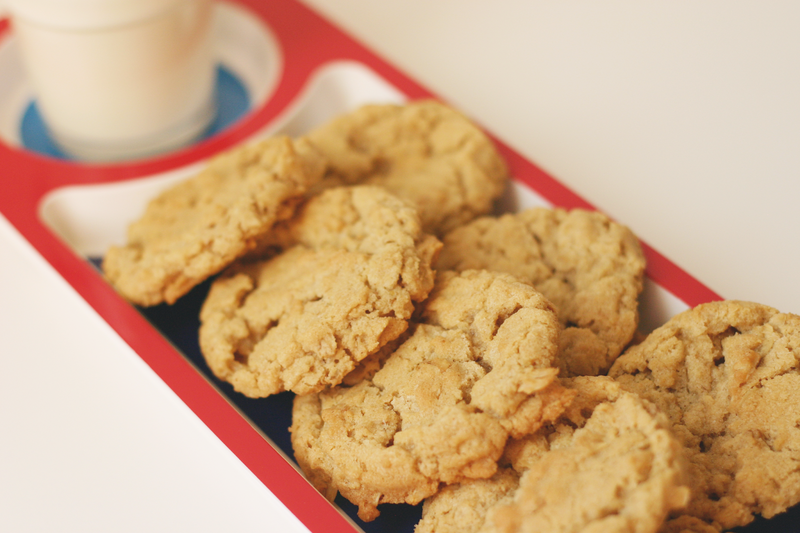 So here goes, The Best Oatmeal Cookies you will EVER eat. 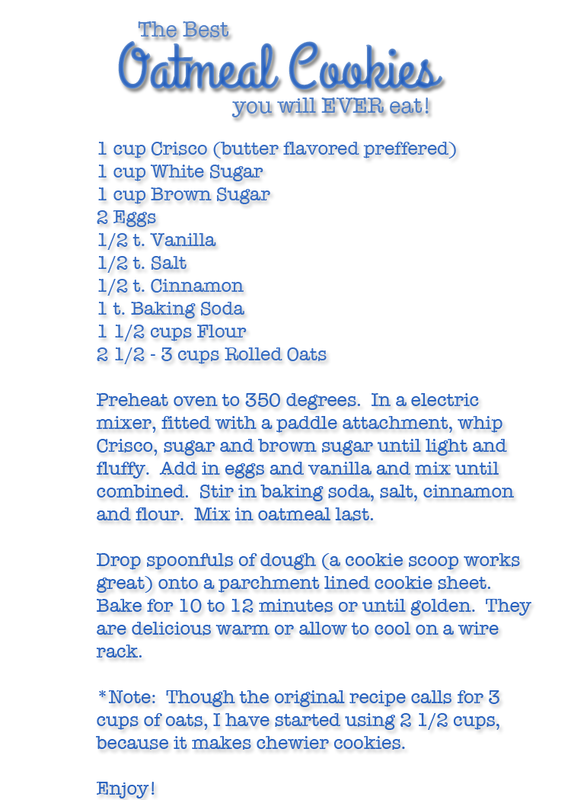 You may want to print off this recipe, just in case it self destructs...he he! 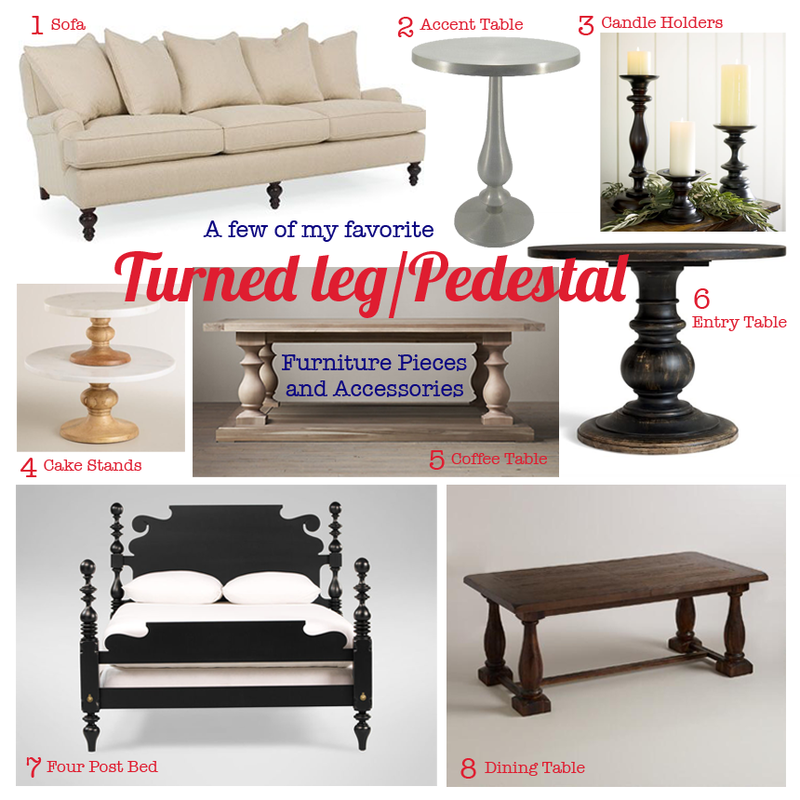 I would't consider my design style to be very traditional, but I have always been drawn to the very traditional design of turned leg and pedestal furniture. The look is timeless and these pieces can be added to so many non-traditional rooms. In fact, that is my favorite way to use them, as statement pieces that stand out among the more subdued. Like the dining room table above paired with more modern, clean lined chairs. My only bit of advice is to add at least two turned wood pieces at a time. Whether it is a side table and a candle holder or a dining room table and a cake stand on the side board, I think that these items need to speak to another similar item in the room. As you may have noticed, my plan to post "Friday Favorites" every Friday, has not panned out too well. But it's a new day and a new season and a good time for a fresh start. Right? So I'm starting off Spring, my most favorite of the four seasons, with a list of fresh new things to get you in the mood for warmer weather. 1. Pink Ray-Ban Sunnies - Now I'm not one of those people who looks good in glasses. At the same time, I tend to squint a lot, so sunglasses are essential 365 days of the year. I love the shape of Ray-Ban Wayfarers as they tend to be flattering on most everyone and this pretty pink hue is a fun twist. 2. Pixi Glow Mist - I really like this cosmetic line from Target. It's fun and fresh and the packaging is cute, too. I've been wanting to try this product called "Glow Mist. You can use it before applying your make-up to "hydrate and protect" or after you make-up application to set it and add a dewy finish. 3. Disneyland's 60th Anniversary - The happiest place on earth is 60 years old this year and they will be celebrating their Diamond Celebration with 3 new "Night-time Spectaculars"! The party kicks off on May 22nd with and 24 hour event! Who wants to go with me?! 4. Elsa Inspired Cosmetics - e.l.f. has been doing a series of cosmetics color stories involving Disney characters and their latest features Elsa from Frozen. The colors are fairly neutral and very wearable. And again, the packaging is lots of fun. 5. Fine Art Photography from Etsy - Lately I've been finding so many beautiful fine are photos from Etsy. I especially love the work by Libertad Leal. Her photos are bright and cheery and will make your home feel like Spring everyday of the year. 6. Fresh Bedding - Just like you change your wardrobe with each season, I think it's important to change your sheets. It's hard to go wrong with bright, white, but I also love a pretty pattern like these cute dot sheets by Xhilaration from Target. 7. Bulldog Cookie Jar - As much as I like to bake cookies, I don't actually own a cookie jar. That may change after I discovered this adorable Bulldog one by Threshold by Target. It's clean and simple and would make sweet addition to your counter top. 8. Grey Sneakers - I have been eyeing these Superga Cotu Classic Laceups, as well as Bensimon's for a couple of years now. I'm usually a Converse girl, but my grey ones have seen better days and I'm ready for a new pair. Which one of these should I choose? Well those are some of the things I'm eyeing for Spring. Bring one the sunshine and mild temps! Five years ago there was no Pinterest, I didn't know about the world of design blogs and I was expecting a little boy. This is the story of creating his nursery. Now, I wasn't an interior design novice at the time. In fact, it was my 10th year in the field, where I had mainly worked as an architectural detailer and space planner, so I had plenty of ideas....too many ideas really. But I also had a very limited budget. 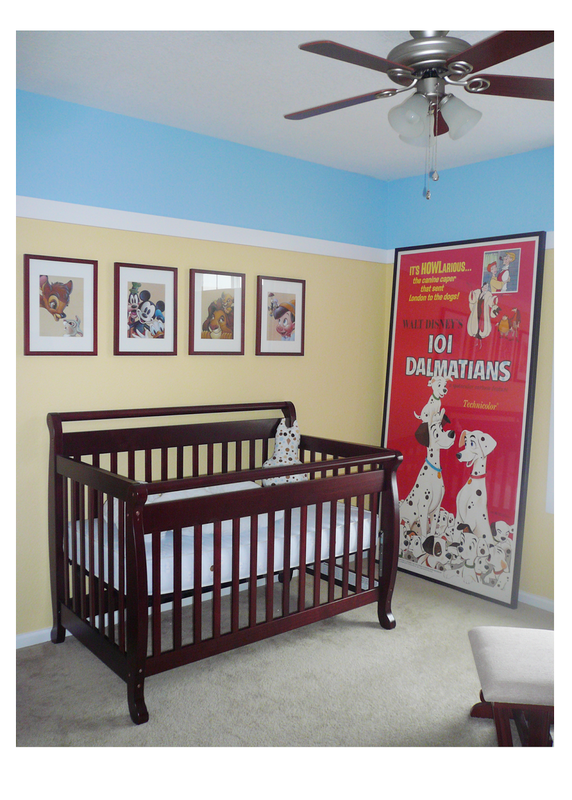 My go to source for nursery furniture inspiration was Pottery Barn Kids and Land of Nod. The goal was to try and get that look, for less. Since Wednesday's post was called "Where do you find your Design Inspiration?' and about the many options available, I thought I'd focus my Friday Favorites on where, specifically, I find some of my inspiration. 1. We mentioned Pinterest as quite possibly being the place to go when you need ideas. Above, I've spotlighted of few of the pinners I follow that are constantly pinning good stuff. You might want to follow them too .... and follow me while you're at it...I'm jjillcamp. 2. These three blogs have been around for quite a while now and tend to set the standard for everyone else who wants to get into blogging about design and lifestyle, me included. My favorite features on Design Mom is her "Living with Kids" home tour series. I love to peak into the homes of other real families and see how they live. Apartment Therapy also features rooms from designers and DIY'ers. Little Green Notebook is a very thoughtfully curated blog by a designer Jenny Komenda, whos work has been featured in countless publications. 3. I have always loved Disney animation and photography. So it's no surprise that some of my favorite art comes from those two areas. Mary Blair was an artist with Disney who's beautiful work is fun and feminine. The 6 female artists who put together the book "Lovely" - Ladies of Animation continue that tradition with their pretty and individual styles. I also love the beach and Gray Malin's stunning photographs are incredible. I hope to own one some day. 4. As I mentioned before, HGTV and Domino are some of the current magazines I read, as well as Coastal Living and one I just discovered recently from Australia, Inside Out. These layouts tend to feature a very relaxed vibe and livable spaces. I've also be enjoying the new book "Elements of Style" by Erin Gates of elementsofstyleblog.com. 5. It seems that many stores are opting for online stores instead of catalogs now, but I do still love the annual Ikea catalog for their space planning and use of small spaces and Pottery Barn not just for the furniture and accessories, but the homes they photograph always have such beautiful architectural detailing. 6. Remember when HGTV used to show design shows? Those were the days. Any of Sarah Richardson's shows are good. They do still show up occasionally on my DVR. "Sarah's House" and "Sarah 101"are my favorites. HGTV Design Star winner, Emily Henderson, hasn't been on the network very much recently, but they need to bring back her show "Secrets from a Stylist". In the meantime, she writes one of my absolute favorite blogs stylebyemilyhenderson.com. My current go to HGTV show right now is "Fixer Upper". The husband and wife team of Chip and Joanna Gaines manages to mix what the network's current angle seems to be (buying and selling homes) with what, I think, the viewers want. Good, creative and professional renovation and interior design. Let me know about your design inspiration. Leave a comment below. These days, people are much more decorator savvy than ever before. There are so many places from which to draw inspiration for design, it can be somewhat overwhelming. I've complied a list of the some of the most popular ways design aficionados scratch their creative itch. These are some of the newest, some of the more traditional and some of the best places I've found to get home design ideas. 1. Pinterest - This has been a huge game changer in the way we can get ideas for home decor. As a Designer, I used to tear out photos from magazines, print pictures from websites and put them all together in a spiral binder. Many spiral binders. But today, my book shelves are empty (well no more binders, anyway). Instead, I have a Pinterest account with over 50 boards and more than 5000 pins, subdivided into any design topic imaginable and available for review with just a few clicks. And not only can I reference my collection, I look into everyone else's too! Talk about information overload. 2. Design Blogs - You're reading one now. 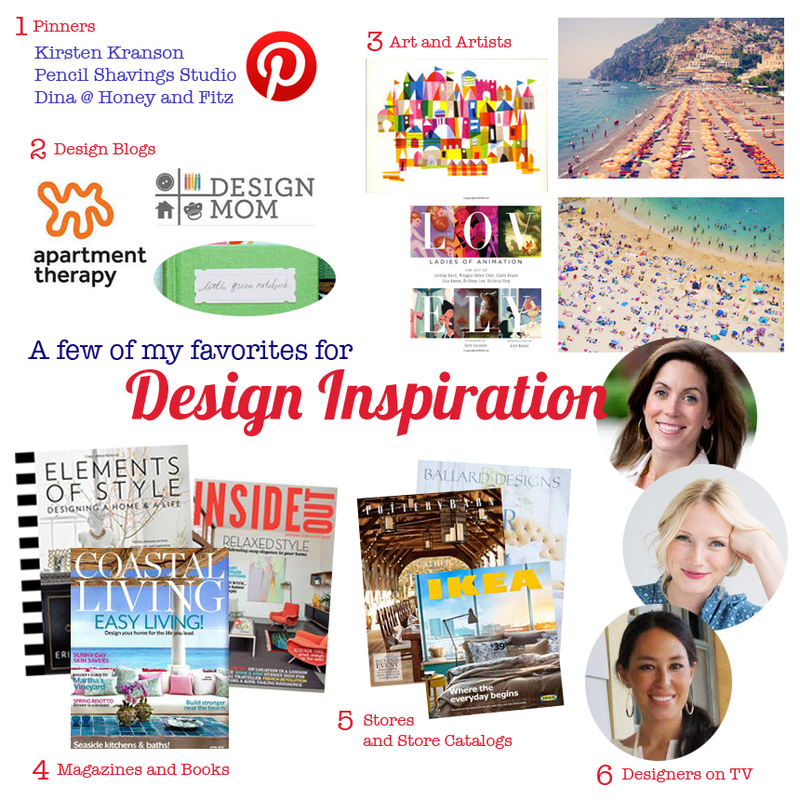 Many of the Pinterest "pins" link you directly to design blogs. Professional Designers, DIY-ers and all around creatives have made the internet a cornucopia of design information. From professional installations to your neighbors house, you can truly learn from everyone. Complete with how-tos, what not-to-dos and resources. It's Friday! Each week I'm going to post some of my favorites. The categories will vary, but the format will be pretty much the same. 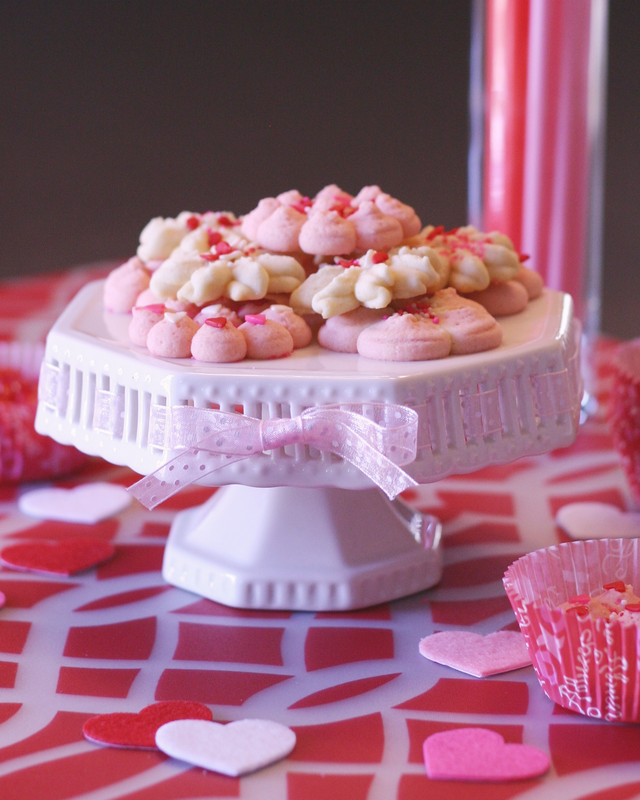 Since earlier this week I posted a recipe for the most delicious and not to mention beautiful Spritz Cookies, I thought I should show you some of my favorite baking tools. 1. Kitchen Aid Artisan Mixer - Now this is the top of line, as far as home stand mixers go. I was lucky enough to have been gifted mine. They are a bit pricey, but completely worth the investment for the avid baker and it will last forever. 2. 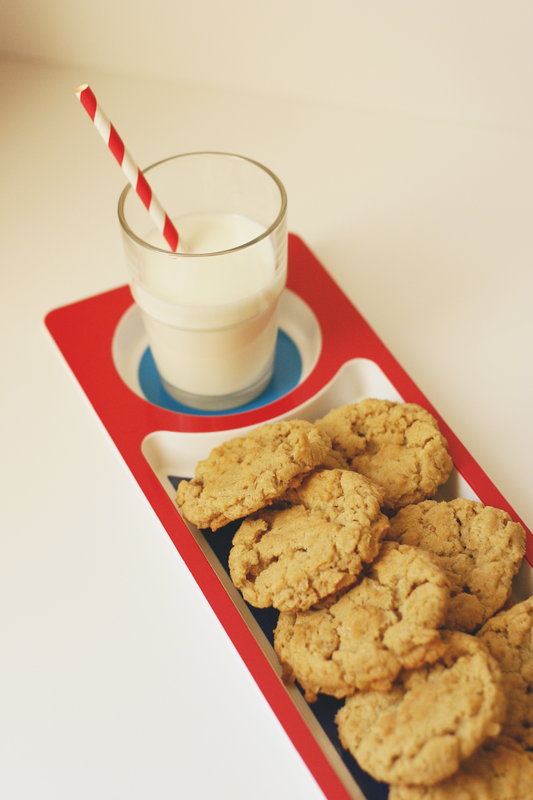 Silpat Baking Mats - I never bake a batch of cookies without them. 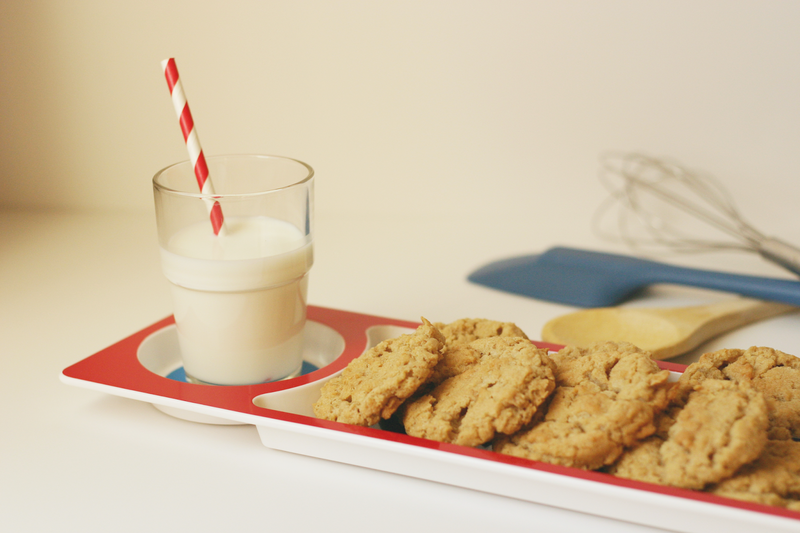 The cookies release easy from the tray without cooking spray. Other companies make similar baking mats that work fine, but I like Silpat the best. 3. Cookie Scoops - The best tool when you are making any kind of drop cookie and they all come out the same size. I use the smaller (about 1"- 1 1/2" diameter) scoop for chocolate chip and oatmeal cookies. They look like they came from the bakery. 4. Cooling rack - These are pretty standard, but I like to use a rack instead of having cookies cool on the counter. They also work well when you want to speed up the cooling of a cake while it's still in the pan. 6. Quilted Cookie Sheet - It is almost impossible to burn cookies when they are baked on a quilted cookie sheet. Sometimes they need to stay in the over a few more minutes than directed (you'll have to test them out in your particular oven), but the results are an evenly baked cookie. Air Bake is the brand I use. Get two. 7. Cookie Press Cookie Press - This is the more updated version of the cookie press that I use and it works great. You can buy cheaper, as well as more expensive versions, but I think something right in the middle (around $20 - $25) is a good choice. 8. Turner - I have always referred to these as a spatula, as well, but when I was researching tools I found they are called a "turner". Either way, they are the best way to remove cookies from a baking sheet. The key here is to make sure it is slightly larger than the cookies themselves. Do you like to make large cookies? Get a large turner. Again, silicone is the way go. So there you have it. Eight great ways to use all of those Bed Bath and Beyond coupons that are stacking up. (FYI - They even take expired ones.) Or should I say, some of my tried and true baking tools. 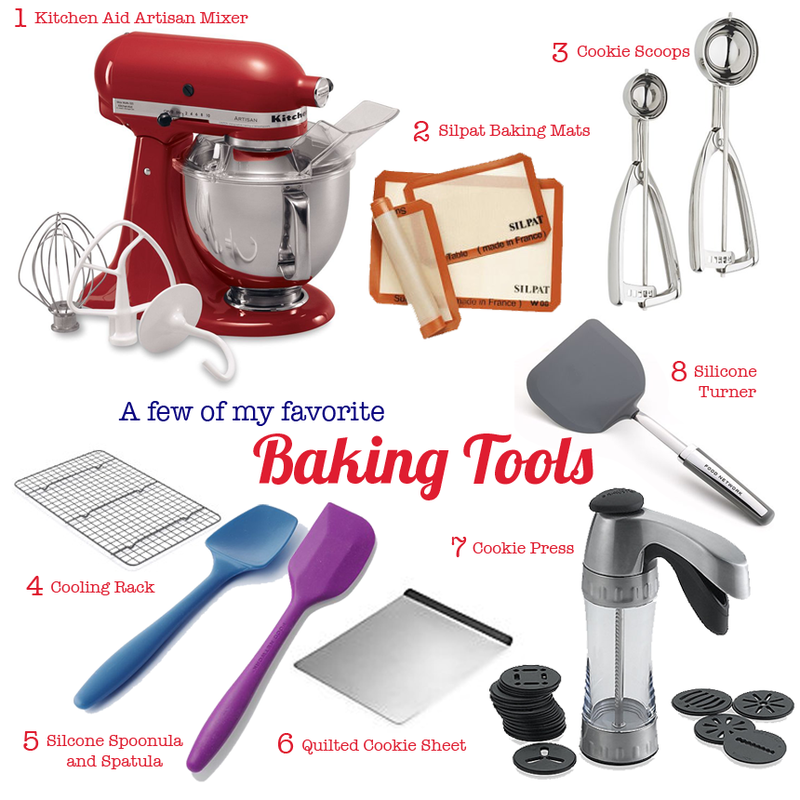 What baking tools do you like to use? Share them with me. I'd love to hear about them. Hi. Welcome. My name is Jill. 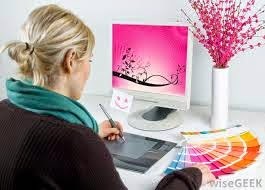 I am a wife and a mom, as well as a professional designer and all around seeker of new things, skills and experiences. This is where I hope to share my ideas, projects, both triumphant and tragic, and favorites with you. Thank you for taking the time to come and check out this fun space I call Interiors and Icing. I hope you come back to visit often. 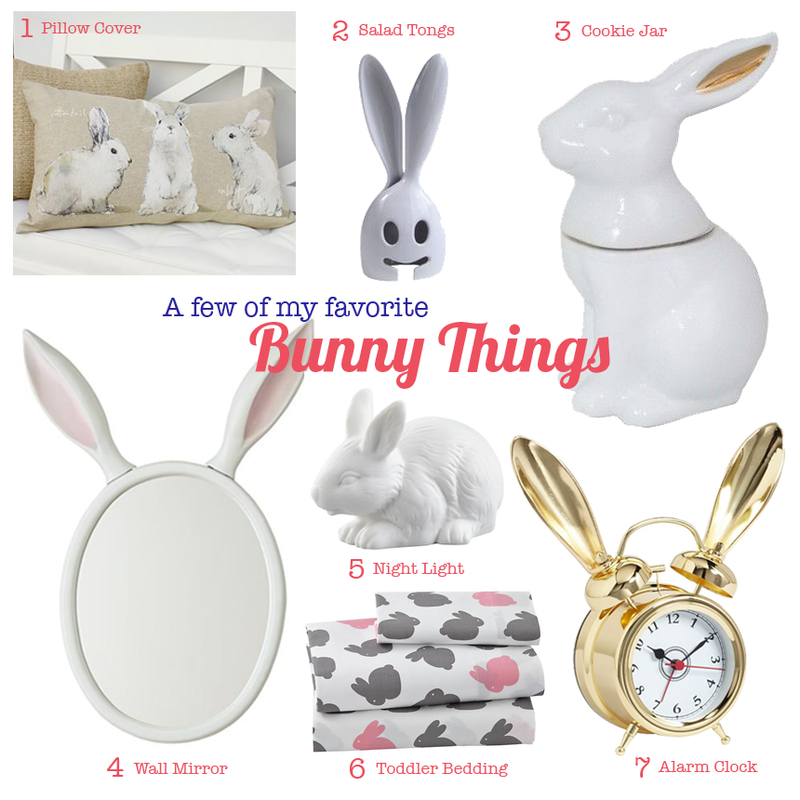 To get us started, here are "a few a my favorite things" and the stuff that makes me me.